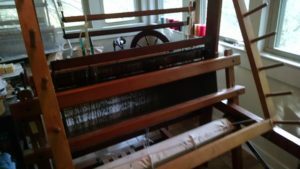 It’s been too long since I fired up a loom! During the visit of a good friend of many years (Larry), my H.L. 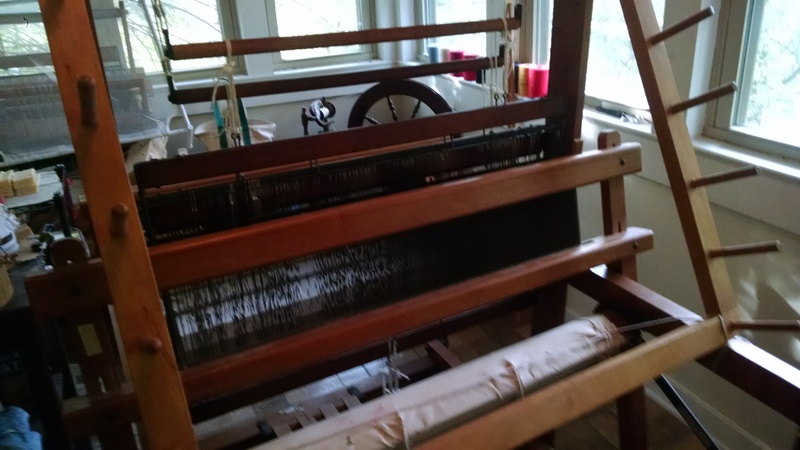 Hammett was finally set up properly so that I could warp and weave. The fine tuning really needed two people so that one could hold harnesses and such steady while the other adjusted. 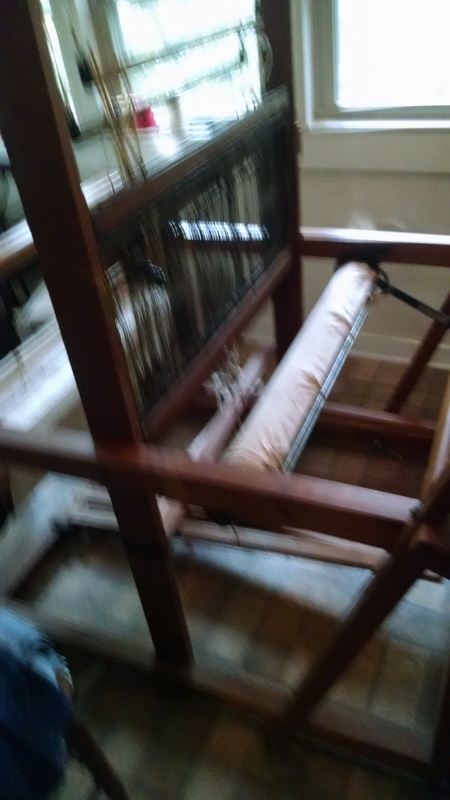 It took the better part of two hours (and Janet Meany’s copy of the Hammett loom manual helped tremendously!). Now I have found that my warping board (made by friend Larry back in 1972 or 1973? – yes, we go back a ways) can be set upon the loom so that I can measure warp at a comfortable height. My first project will be a black warp (yes, it’s going to be really fun to keep all those black ends straight and thread them through the heddles!). Black will offset the colors of the sheets I’m going to use as weft. I’m threading a chicken tracks pattern and wanted it to stand out. Posted in rag rug, weaving.